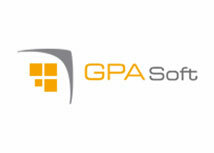 GPA Soft provides comprehensive IT services for SMEs through a wide range of packages for business management. They now share with us how they discovered the Macrium Reflect backup and DR solution. Trustworthy: A reliable and easy to use backup and DR solution. GPA Soft were searching for an image-based backup software that is lightweight, reliable, easy to use, and good value for money when they found Macrium Reflect. They have been using Macrium Reflect for a long time now and over all these years, they have been able to solve all incidents and recover data whenever a problem occurred. Among all the technical factors for which GPA Soft chose Macrium Reflect, what has made this partnership successful is its personal approach. "Macrium Software is a company that take great care about its customers by making sure they are well attended responding to all requests very promptly and efficiently. Also, their software is remarkably reliable and easy to use". It happens so many times that a potential customer is considering purchasing Macrium Reflect against other backup and DR solutions. GPA Soft always tell them, "look, compare, and if you find a better one, buy it". Usually the customer chooses Macrium Reflect. "Macrium Reflect has excellent quality, at a super reasonable price. They will not find a better alternative in the market". Wanted: A complete backup solution and a supportive team. GPA Soft finds that the Macrium Reflect provides great DR tools with the viBoot technology, and has excellent management tools for looking after large numbers of endpoint backups. These factors, as well as the the excellent technical support, are what make Macrium Reflect the best backup and DR solution.